well, things aren’t going as planned – but do they really ever? 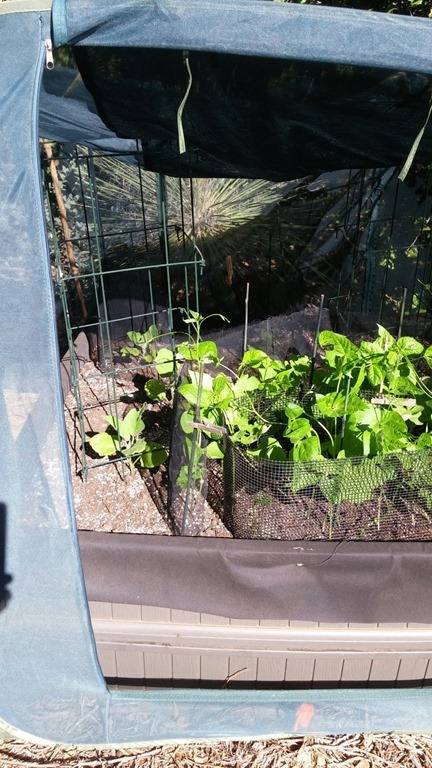 The shade cloths were up early this year and this may have stunted growth. Lizards are taking more than their share. 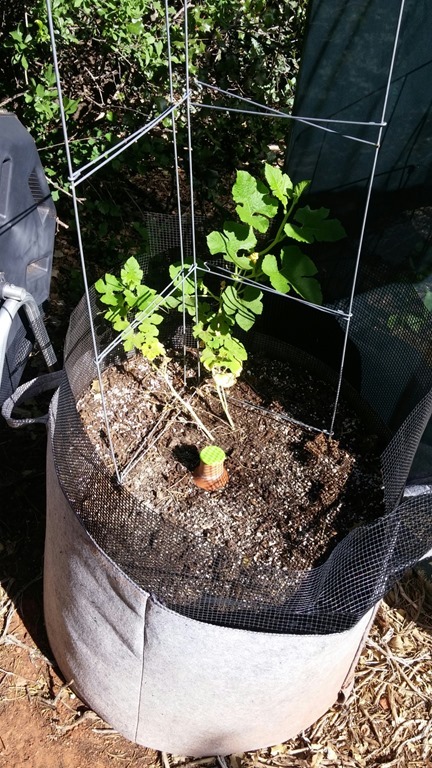 Have already had to replace my zucchini seedlings. 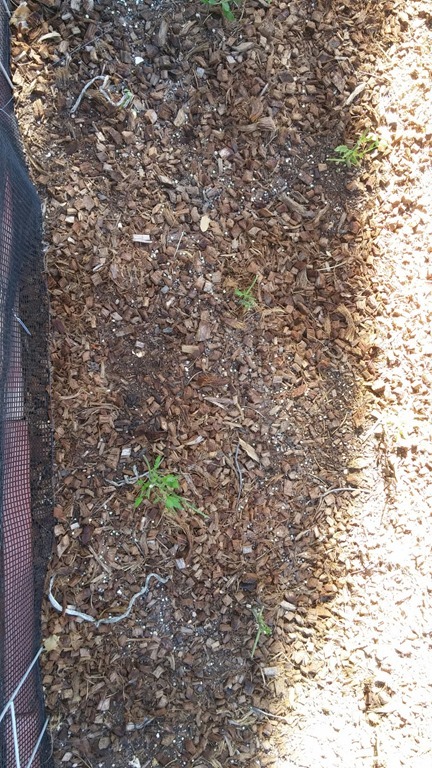 have to replace tomato seedlings too, but waiting on that until am sure I’ve sealed the space from lizards!! 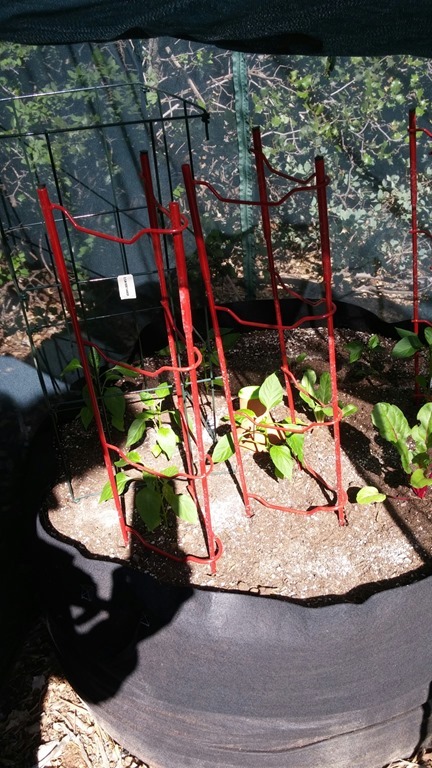 Of course, that space was devoted to roma tomatoes and not sure that I’ll find any more, may have to just put some seed in the ground and hope. 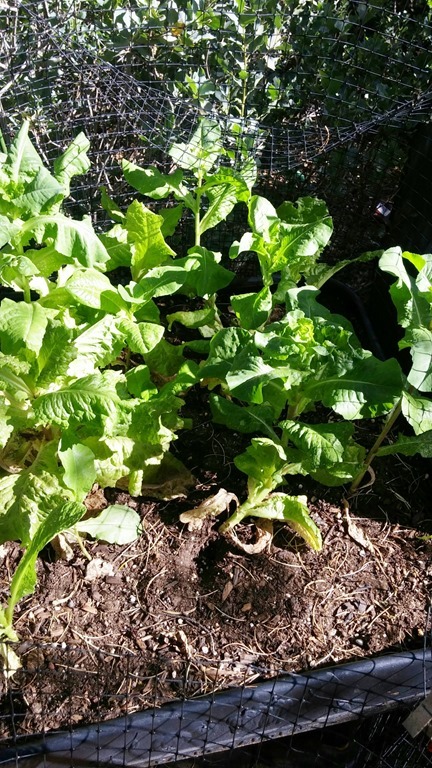 There were 28 good healthy seedlings in this bed. There are now about 8. Hopefully some of the ones that have some stem left will resprout. 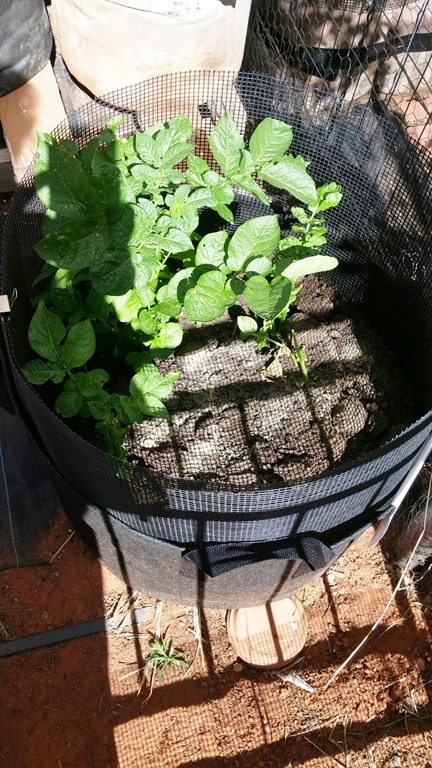 these potato plants are in a large grow bag with 8” of 1/4” screening around the edge and you can see where the lizards have gotten in and eaten the plant anyway. 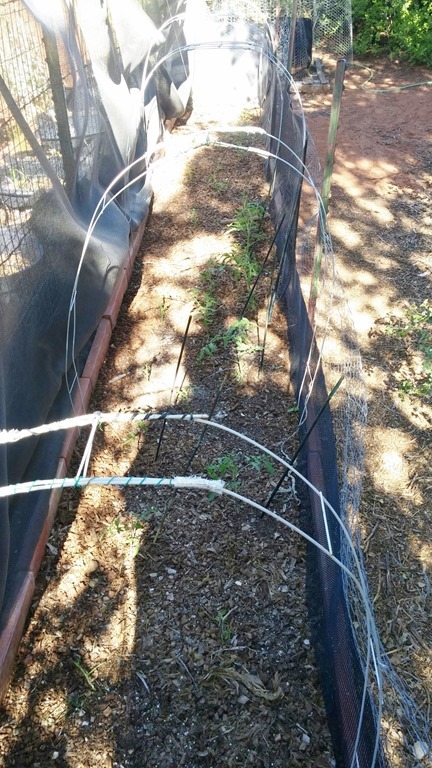 It could be ground squirrels, but know the lizards can go right up the fabric and screening. 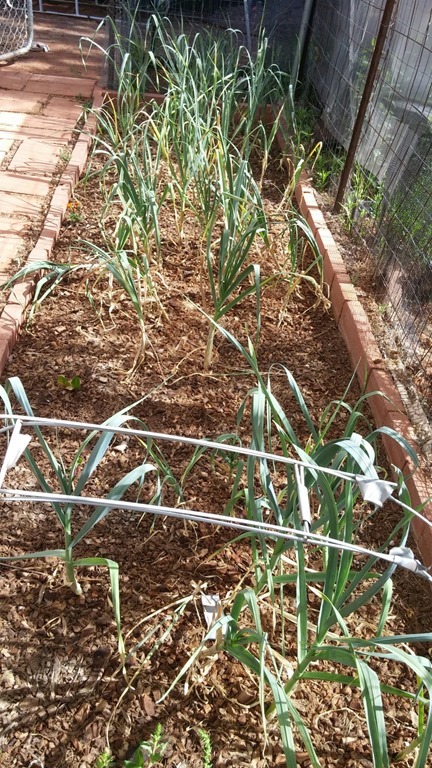 This entry was posted in container gardening, gardening, garlic/onions, greens, grow bags, homesteading, legumes, organic, peppers, potatoes, prepping, preserving, self-reliance, squash, tomatoes, Uncategorized, water. Bookmark the permalink.